According to the Wall Street Journal the World Bank pledged as much as $200 million in emergency funding to help three West African nations fight the deadly Ebola epidemic following requests from the World Health Organization and officials from the three countries. However, these news shouldn’t spread too much optimism. According to global health experts Ebola outbreak concentrated in West Africa is “out of control,” and the international community has no organized plan to address it. When Ebola came to the Kailahun district of eastern Sierra Leone in late May, the government put out a series of messages telling people how to recognise and avoid the disease – among other things by avoiding exposure to victims’ blood, sweat, saliva or to dead bodies. Few villagers took any notice. 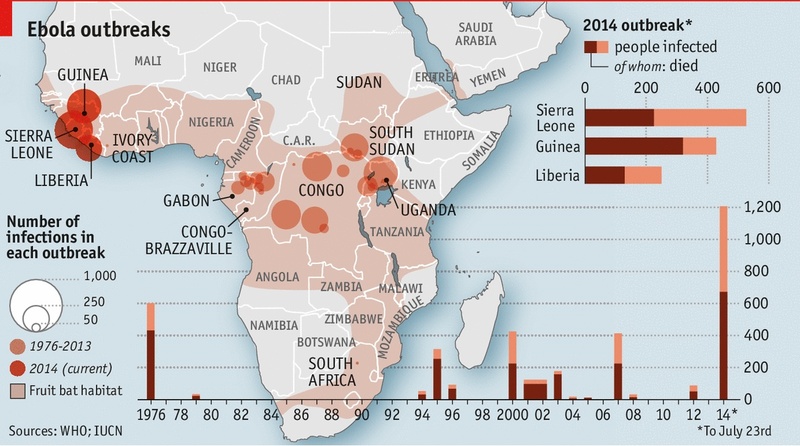 Instead, a string of wild theories is circulating, including suggestions that the government and aid agencies are intentionally spreading the disease, reports The Economist. The outbreak demonstrates not only there are far too little resources to fight the disease, but a chronic lack of trust between ordinary Sierra Leoneans, their government and the aid-giving Western world.